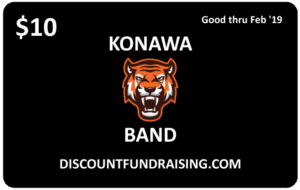 I agree to advertise on the fundraising card at NO COST to me or my company. My store will accept the below specified offer when the card is presented and will honor the discount listed for one year from print. 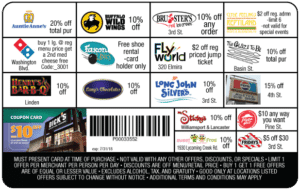 I grant Discount Fundraising permission to use our logo and information on the card and the website with all rights required in order for my store to participate. © 2017 Discount Fundraising. All Rights Reserved.